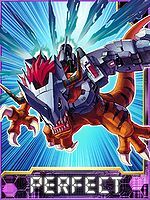 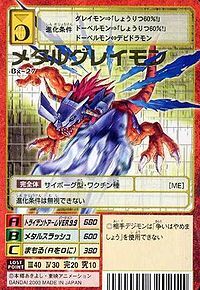 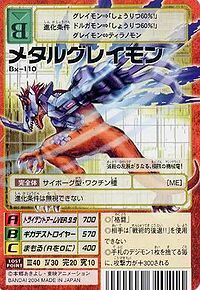 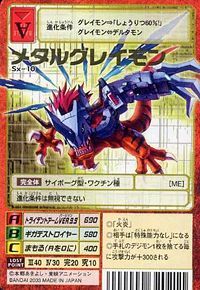 Evolves from Death-X-DORUgamon (1.5 Only), Greymon X-Antibody, or Raptordramon (1.0 only). 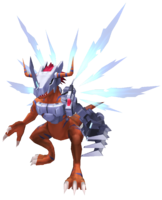 Can evolve to Giga Seadramon, Grandis Kuwagamon, or War Greymon X-Antibody (1.0 Only). 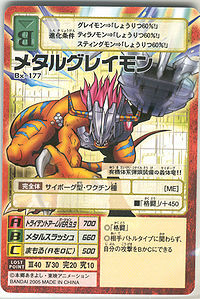 Evolves from Coelamon, Greymon X-Antibody, or Revolmon. 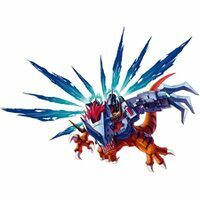 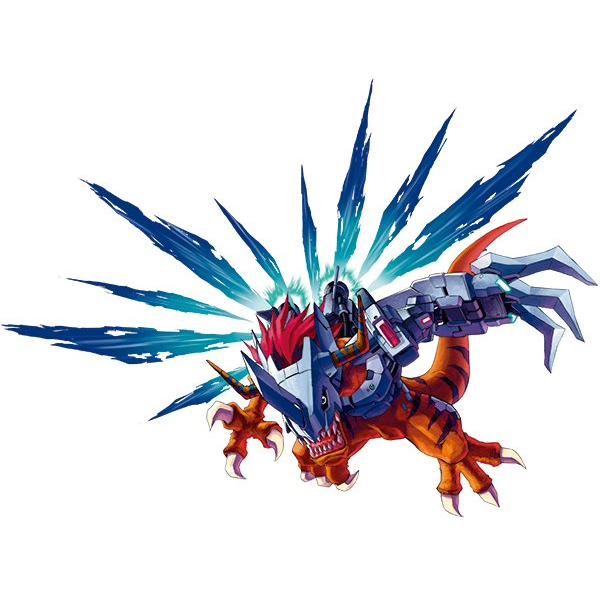 Can evolve to Metal Etemon or War Greymon X-Antibody, and can Jogress with Loader Liomon to evolve to Bantyo Liomon.